What a great classic picnic dish! Hi Free Spirit Eater, I think you will like the salad. Thanks for stopping by. Hi Belinda, it is a great dish. I love it. Thanks for stopping by. Reminds me of summer time! Except I make mine without the hard boiled eggs. Hey Bo, it does remind ya of summer... cookouts. But I love this salad anytime of the year. Thanks for stopping by. I love reading all the comments. 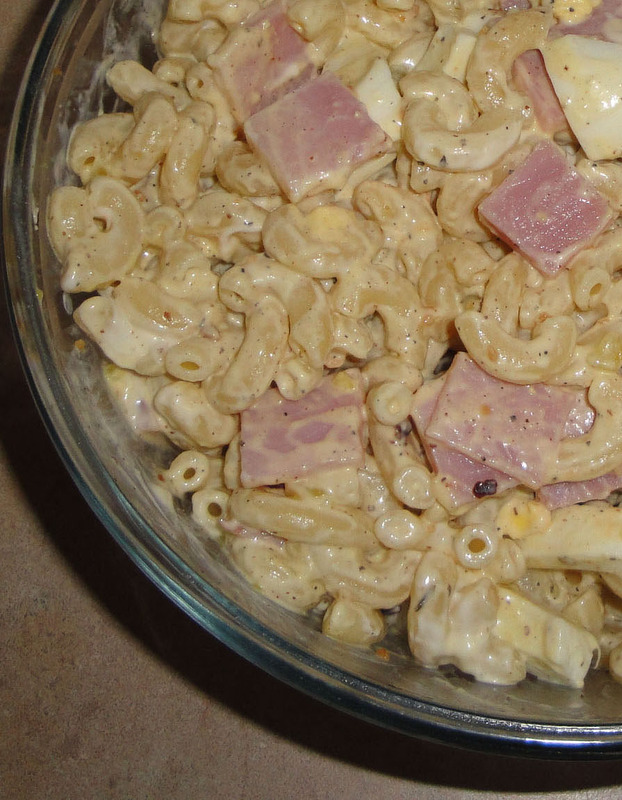 Macaroni salad is the very best! I absolutely love when my mom makes it! It sounds wonderful with the ham and eggs...very delicious, Christine! I had never tried sweet relish in macaroni salad... Sounds so delicious!